Since 1977, we have the experience necessary to find the best commercial mortgage loan for your scenario. Since 1977, Ocean Pacific Capital has specialized in Commercial Mortgage loans. We are conveniently located in Irvine California where we have close relationships with over 130 banks and lenders. We can find financing for major projects anywhere in the world. Take a look at our commercial loans page to see some of our recent closings. Unlike residential financing, commercial mortgage loans allow great flexibility in the types of properties that can be financed. 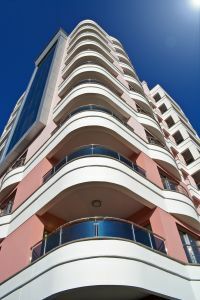 Our commercial mortgage department offers commercial mortgage loans on properties varying from, but not limited to: apartments, commercial centers, industrial buildings, strip centers, mobile home parks, subdivisions, office buildings, mixed use centers, senior housings, hotels, golf courses, and lot loans.